April 10, 2009 by riamn. Average Reading Time: less than a minute. 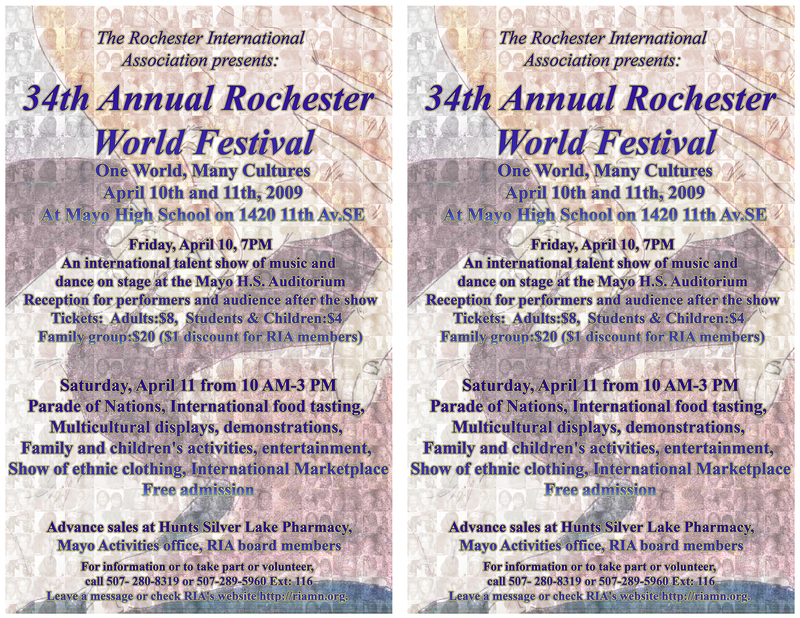 Just a friendly reminder that the Rochester World Festival 2009 is this Friday April 10 from 7pm to 9pm and Saturday April 11 from 10am to 3pm. Here’s a link to our official RIA World Festival 2009 poster that you can print out. We’ll post the program guide PDF here as well.